The Stoppel Lab leverages expertise in biomaterial composition and formulation to direct tissue regeneration in vivo. We focus on the quantification and optimization of transport and diffusion within 3D biomaterial systems to control in vivo performance. This design process is iterative, improving formulations and applications via mechanical property analysis, degradation analysis, in vitro performance, and in vivo performance. Current applications for our biomaterials are focused on striated muscle and liver tissues, with an emphasis on the role of the immune system in the successful utility of biomaterial to a clinical problem. Dr. Stoppel completed her Ph.D. in Chemical Engineering at the University of Massachusetts Amherst in 2014 under the mentorship of Susan C. Roberts and her BS in Chemical and Biological Engineering at Tulane University in 2008. 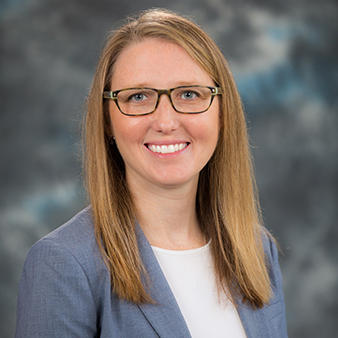 Prior to joining the Chemical Engineering Department at UF, Whitney was an NIH IRACDA postdoctoral scholar in the Biomedical Engineering Department at Tufts University mentored by David L. Kaplan and Lauren D. Black, III. Her work has focused on the multiscale requirements for material design for clinical applications and the role of specific biomaterial features and properties that direct cell or tissue response.